MCDC is committed to providing you and your family with safe, gentle, high-quality dental care. 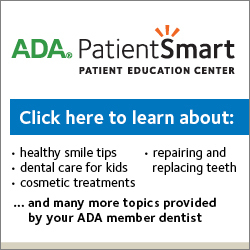 We understand that you, or your child, may feel anxious about visiting the dentist. We are sensitive to your needs, and it is our goal to make you feel comfortable visiting our dental center while providing the best care possible. A form confirming that you have read and understand MCDC’s Cancellation policy, Consent for Treatment acknowledgment, and your right to privacy notification. A patient information and health history form that we will scan into your permanent patient record. Your first visit is all about you — your comfort, your happiness, and your health. During your first visit, your care team will review your dental and medical history forms, take radiographs and intraoral photographs, and complete a comprehensive examination. The doctor will meet with you to discuss your concerns, answer any questions you may have, and create your own individual treatment plan. To register as a patient you may either call 877.313.6232 or you may use our online registration form. Our staff will contact you to schedule your first appointment once you have submitted the form.